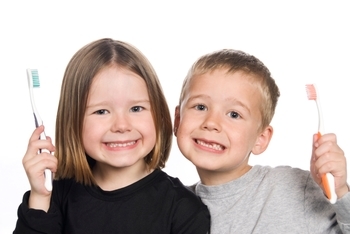 Trying to find a family dentist in Augusta that you can trust with your family’s oral health? If you're raising children in Augusta, GA, family dentistry is an important consideration, and selecting the right dentist for your family can be tough. Your own attitudes and fears about going to the dentist could inadvertently shape those of your child. Here at Sparkle Family Dentistry, we aim to change that. We believe that one of the keys to a happy and healthy life involves developing healthy oral hygiene habits at an early age, rather than dental phobias. From horror movies with evil dentists and bad jokes about drills and needles, to uncomfortable experiences in the dental chair, dental phobia has many causes. For some, this fear may develop as the result of hearing horror stories from other dental patients. For others, it could be due to a feeling of helplessness or a perceived lack of control. Kids who fear the dentist usually grow up to be fearful adults who avoid the dentist. Thus, these adults miss out on the oral health benefits of preventative care. We understand the fears that people of all ages have about dentists. We also know that these fears, though very real to those who have them, can be countered, overcome, or prevented through positive dental experiences. If you’ve had a bad experience in the past that is affecting your oral health, now is the time to regain your healthy smile. Our office is unlike other dental offices you may have visited. The environment is more like a home than a clinical office building, and our staff works hard to create a warm, friendly “dental home” for your family. When you trust us with your family’s oral health, we take that responsibility seriously and want you to feel right at home while giving your family the dental care they deserve. Our Augusta, GA family dental practice focuses on comprehensive and preventative care for the entire family, including young children. Our dentist, staff, and dental hygienists are all excellent with kids and communicate in a language that is easy for them to understand. Dr. Doss takes as much time as is needed to educate you on what will help your specific condition as well as ease your concerns and those of your child. We are passionate about prevention. Gum disease, a preventable condition, can lead to further complications including heart disease and stroke. Many people are unaware of the link between poor oral hygiene, gum disease, and serious medical conditions. It is imperative for every family member to know about this so they can take a proactive approach. We recommend regular appointments with your Augusta family dentist to prevent these conditions that may adversely affect your overall health. Questions? Ready for an appointment with our South Augusta, GA family dentist? Don't let fear get the better of you and wreck your oral health. Contact our office today or request an appointment online to experience dentistry from a caring, gentle, and experienced family dentist in South Augusta, GA.